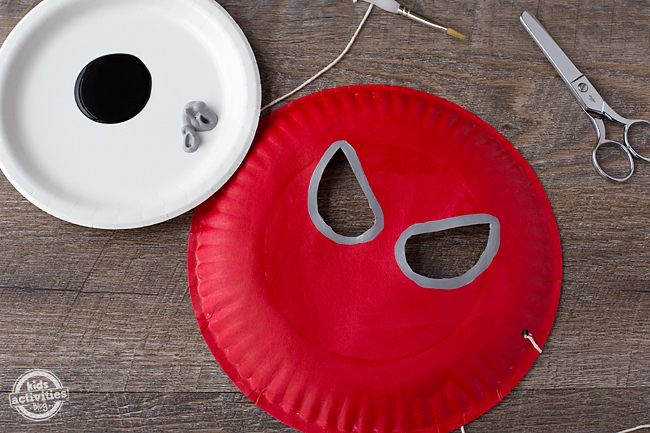 In this post, learn how to make a simple and fun Paper Plate Spider-Man Mask for your child’s imaginative play. 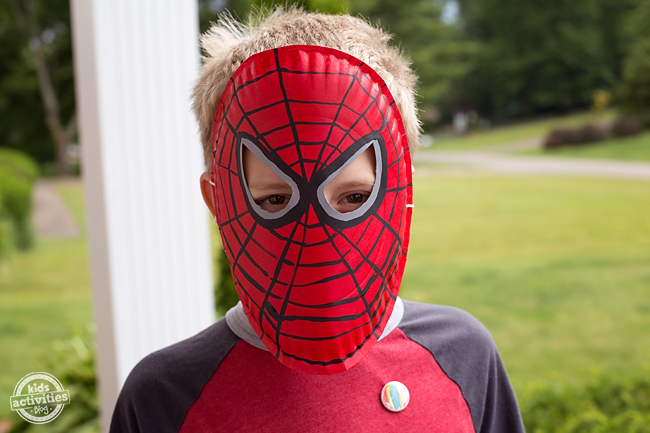 It’s perfect for young web slingers…especially preschool-aged web slingers! Are you ready for the new Spider-Man movie coming out soon? 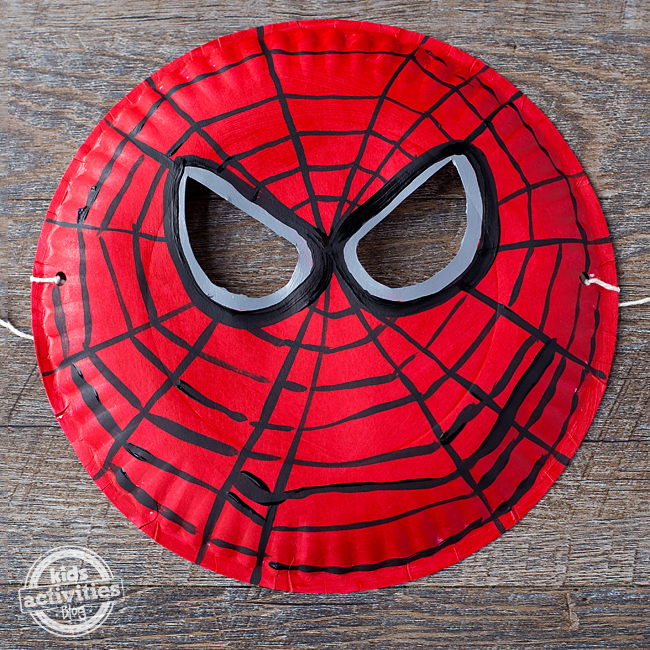 My little superheroes love to pretend they are Spider-Man, and this paper plate mask makes it easy and fun. 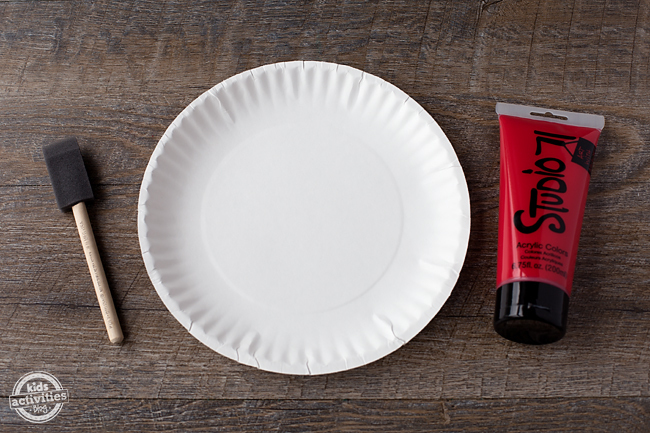 All you need are basic white paper plates, paint, scissors, and string. It’s perfect for imaginative play at home, as a birthday party craft, or even a Halloween costume. 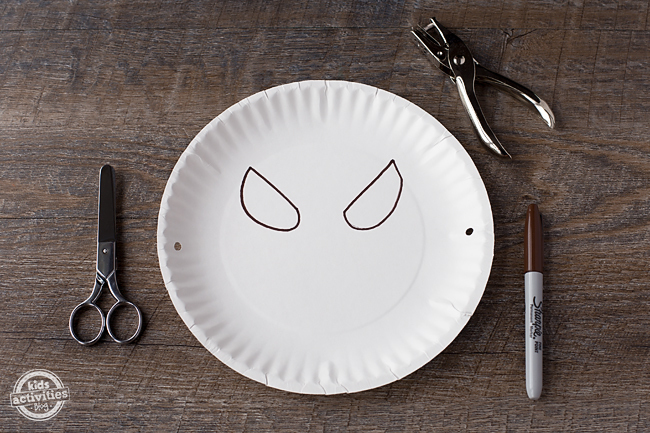 After gathering supplies, invite kids to draw Spider-Man’s eyes on the paper plate with a pencil or marker. Punch a hole on each side of the mask with the single hole punch. Use the scissors to cut out the eyes in the mask. Invite your child to paint their entire mask red. When the paint is dry, string a piece of cotton yarn or elastic thread through the holes. Out of paint? No problem! Invite kids to use crayons or markers instead. Paint an outline around the eye holes with the gray paint. 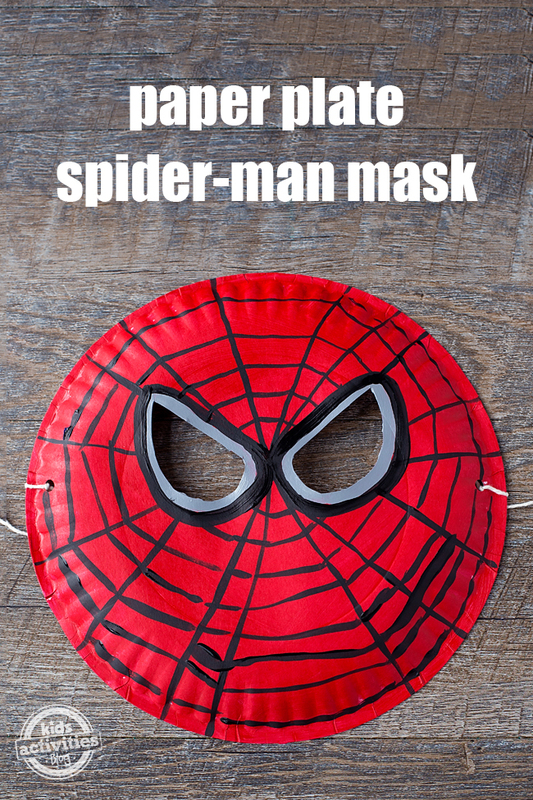 Next, invite your child to paint the webs on the mask with the black paint. Allow the paint to dry completely before play! Best worn with a Spider-Man t-shirt! Isn’t it fun? 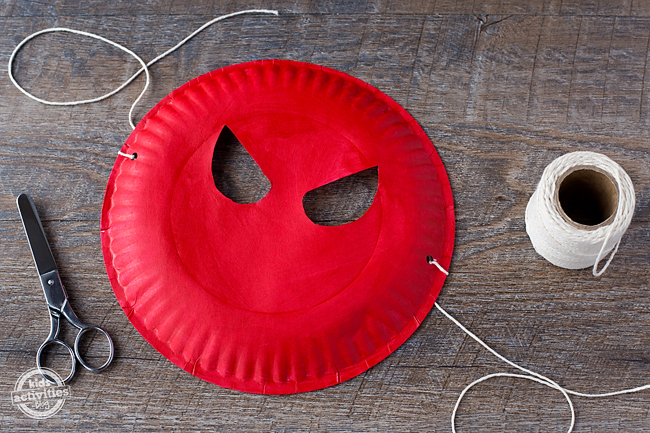 This craft is perfect for kids who love superheroes! 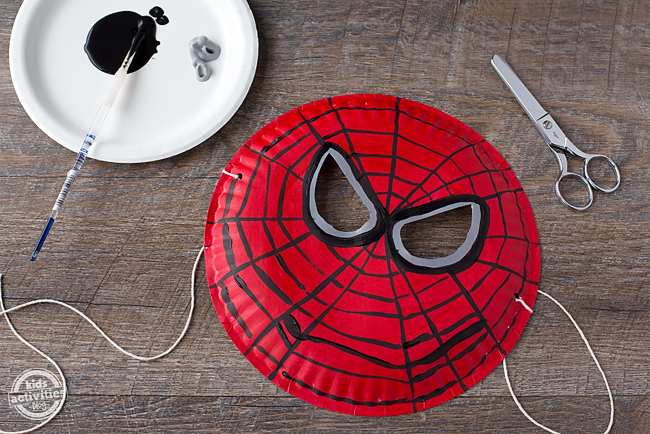 Click the links below to view more creative superhero crafts for kids! This is an incredible fun idea! I will definitely try this next time and i’m sure the kids will love it. Great idea for kids party entertainment, thank you!